After making the most starts behind the plate of any big league catcher in a century, Salvador Perez wants more. How will the Cubs fare in free agency? ESPNChicago.com's Jesse Rogers takes a look at the biggest storylines facing the Cubs during the offseason.Will it be Jon Lester or Russell Martin? 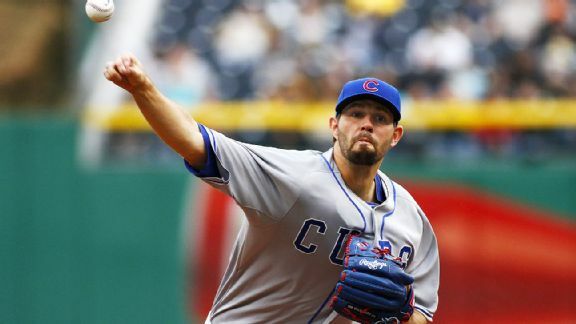 Will James Shields end up a Cub? 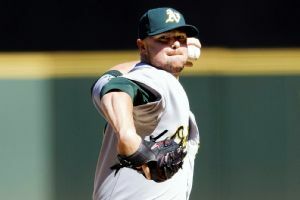 The Chicago Cubs released pitcher Jose Veras on Tuesday, the team announced. The Cubs designated Opening Day closer Jose Veras for assignment and placed catcher Welington Castillo on the disabled list with a left rib cage injury, the club announced on Tuesday. CHICAGO  For once, a professional sports team did what a fan would have done given the situation the Chicago Cubs faced with their bullpen. Instead of shuttling another young player back to the minor leagues, they decided to give embattled reliever Jose Veras his walking papers by designating him for assignment. CHICAGO -- Just when you thought it might be all right to allow Chicago Cubs pitcher Jose Veras back on the mound in a high-leverage situation, the reliever self-destructed in a 4-2 loss to the New York Yankees in 13 innings on Wednesday. 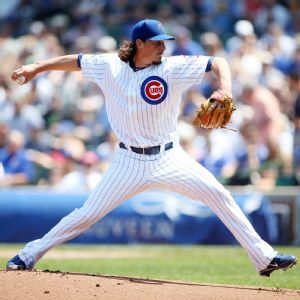 CHICAGO -- Its probably getting comical for anyone not associated with the Chicago Cubs or pitcher Jeff Samardzija.Once again, his teammates couldnt complete the deal after another great outing from their starter. 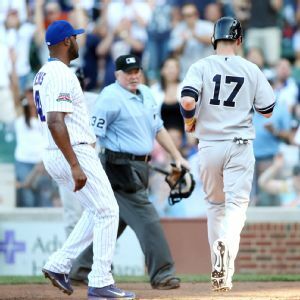 CHICAGO -- Here's a quick look at the Chicago Cubs' 4-2 loss to the New York Yankees in 13 innings on Wednesday afternoon:How it happened: Jose Veras gave up two runs in the 13th inning as the winning run crossed after a wild pitch. CHICAGO -- With nearly a quarter of the season complete, it's time to start thinking about who has potential trade value for the Chicago Cubs. The next quarter of the year will see an increase of scouts around the Cubs as contending teams look for veteran help. 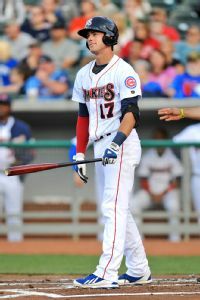 ST. LOUIS -- A rainy night off for the Chicago Cubs on Wednesday was also a night off for the Double-A Tennessee Smokies as their game against the Jackson Generals in the Southern League was postponed as well.